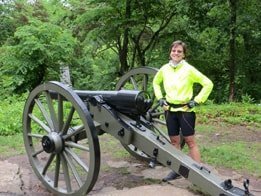 Which of Reynolds’ division commanders have statues at Gettysburg? Which of Reynolds’ division commanders have park avenues named after them? Who were Reynolds’ 1st Corps division commanders? Northwest of town, most battlefield monuments honor Reynolds’ 1st Corps — because that’s where the 1st Corps fought on July 1. 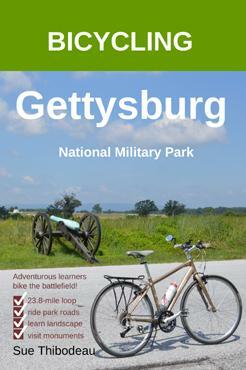 What symbol identifies the 1st Infantry Corps on Gettysburg monuments? Who did Meade promote to replace Doubleday as 1st Corps commander on July 2? Newton commanded the 1st Corps during Pickett’s Charge on July 2. His corps also battled Confederates on Culp’s Hill and Little Round Top. Who assumed command of the 1st Corps when Reynolds was killed? When Doubleday took charge of the AOP 1st Corps on July 1, he was the 3rd Division commander. 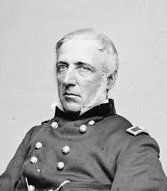 The next day, army commander Maj. Gen. George G. Meade replaced Doubleday, who then resumed division command. Who commanded the Union 1st Corps on July 1, 1863 (early morning)? Reynolds was the highest ranking officer killed at Gettysburg. He was shot in the neck while riding his horse near Herbst Woods and directing the movement of the Iron Brigade. As Left Wing Commander, Reynolds was in-charge of the first, third, and eleventh corps of the Army of the Potomac. 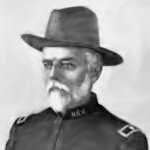 Who were Wadsworth’s 1st Division brigade commanders? Who commanded the 1st Division, 1st Corps? On July 1, Wadsworth’s division fought against a brigade commanded by Joseph Davis, the nephew of Confederate President Jefferson Davis. What is another name for Meredith’s Brigade? Meredith’s brigade hailed from Wisconsin, Indiana, and Michigan. They had a reputation for iron-willed fighting. 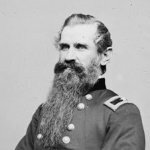 Who commanded the 1st Brigade of Wadsworth’s Division? Meredith led the Iron Brigade of the Army of the Potomac. His brigade fought Confederates under Pettigrew and Archer in Herbst Woods on July 1. On July 1, Meredith’s brigade was positioned along modern-day Meredith Avenue, northwest of town. 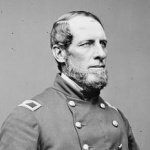 Who commanded the 2nd Brigade of Wadsworth’s Division? Cutler’s brigade consisted of regiments from New York, Indiana, and Pennsylvania. Who were Robinson’s 2nd Division brigade commanders? Who commanded the 2nd Division, 1st Corps? On Oak Ridge, Robinson’s division repulsed an attack by Alfred Iverson’s brigade on July 1. His division suffered 50 percent casualties. Who commanded the 1st Brigade of Robinson’s Division? Paul’s brigade consisted of units from Maine, Massachusetts, New York, and Pennsylvania. He was blinded during fighting on July 1 on Oak Ridge. Who commanded the 2nd Brigade of Robinson’s Division? 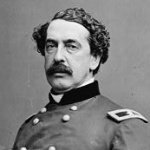 Who were Doubleday’s 3rd Division brigade commanders? Stone’s brigade formed along modern-day Stone Avenue on July 1. Stannard’s statue tops the Vermont State Monument on Hancock Avenue on Cemetery Ridge, south of town. Who commanded the 3rd Division, 1st Corps? 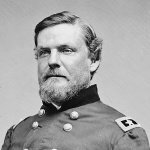 Who commanded the 1st Brigade of Doubleday’s Division? 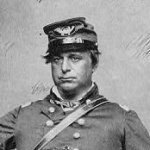 Who commanded the 2nd Brigade of Doubleday’s Division? 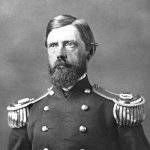 Who commanded the 3rd Brigade of Doubleday’s Division?